Three books finished, all with great covers by my brother Dave (DaveRhea.net) I guess that means next week I start book number four. Pre-order the Kindle or Apple version now for just 99 cents! For all of you Apple readers out there, all three of my books are now available in the iBook store for the first time! Novum: Exile goes live in 6 days! Novum: Exile goes live in 7 days! Novum: Exile now available for pre-order! 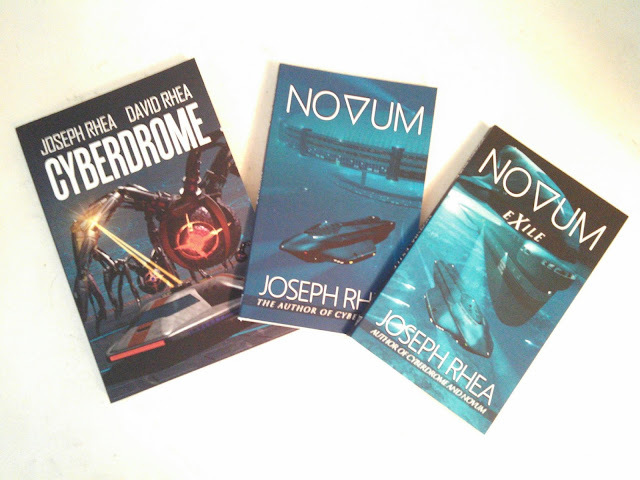 The kindle edition of Novum: Exile now available for pre-order (to be published Oct 1st or sooner).